Warning (to all our clients): If anything that involves urine makes you feel uneasy, you do not have to read this article. All odors are in the nose of the beholder. What stinks to one may be perfume to someone else. The intensity of an odor increases as the humidity increases. For example, a wet dog smells worse than a dry dog. As the temperature rises molecules in the air are more active and will reach the olfactory nerves more easily. Both pleasant and unpleasant fragrances will increase under hot, humid conditions. Now, to the average person, urine is not a pleasant topic. The professional fabric care specialist who can share in the multi-million dollar odor control industry views urine from a different perspective. 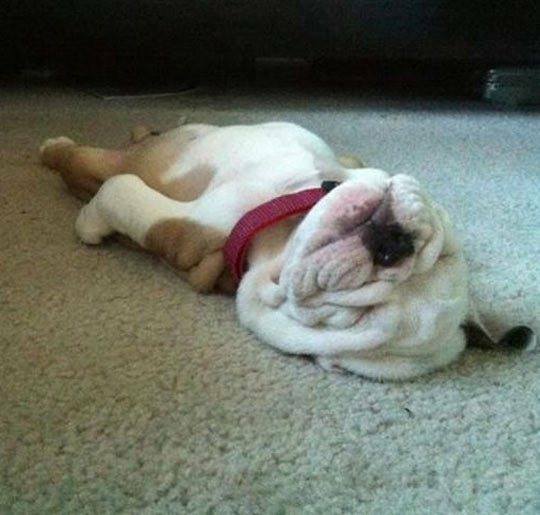 There is a reason dogs are a cleaner's best friend. Unlike other odors we are called upon to eliminate, urine is more than simply an odor control issue or even a stain and odor issue. There is also a health issue. It is more than simply spraying some magical formula on the stain. Yet, many pet owners think their problems can be solved that easily. Urine leaves the body (either animal or human) as an acid with a pH that is typically between 5 and 6. Until urine is leaving the animal, it is usually sterile containing no harmful bacteria, pathogens, or microorganisms. The principle ingredient in urine (from mammals) is uric acid. Urine also contains urochrome (yellow pigment), cholesterol (lipids), urea and other ingredients. The exact make-up of urine will vary depending on the animal's diet, health and other factors. The urine begins to change immediately upon leaving the body. It comes in contact with bacteria, and the warm acid conditions offer a perfect breeding ground for bacteria which begin to flourish. Uric acid begins to be broken down into ammonia and carbon dioxide. The ammonia is highly alkaline. Some have suggested that a fresh urine spot should be treated with white vinegar to neutralize and flush the urine from the carpet. This is NOT what should be done. Vinegar is an acid. You can not neutralize an acid with an acid. As the acidic urine reacts with the ammonia that is being created, it forms alkaline salt crystals. These hygroscopic salts draw moisture from the air and remain slightly moist and chemically active. It will produce ammonia gas as long as it is active. The odor of ammonia gas is one part of the distinctive odor that helps us to identify and locate urine. The other component of urine's odor is off-gassing from bacteria that grow abundantly in warm, dark places with a never-ending food supply. The pet feeds the bacteria daily! Even if the bacteria are killed, the ammonia and other chemicals still produce an odor. This is the reason that more than a sanitizing agent is necessary to neutralize odors from urine. 1) Nose - Whether it's yours or our own, it is usually the first "tool" that is used to indicate that there is an odor problem. Getting on your hands and knees and sticking your nose in the carpet is a fairly effective way of locating an area with possible urine stains. 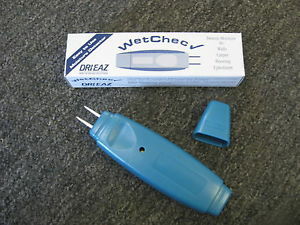 2) Moisture Detector - As mentioned previously, the urine salts attract and hold moisture. A better quality moisture detector is a very effective way of finding urine deposits from the surface of the carpet. 3) Ultraviolet Light - Urine residue will glow under UV light. Ultraviolet lights in various intensities are available to help you locate urine deposits. 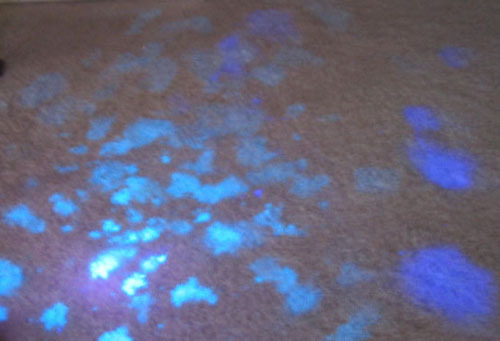 Low powered UV lights are usually held very close to the carpet in a dark room. Medium intensity lights can work from a few feet away. High powered lights can quickly be used to check a carpet from several feet away. All UV lights work best in a dark room, or (when necessary) black plastic sheeting can be used to cover windows, along with draping a sheet or dark blanket over an open window while making the inspection. 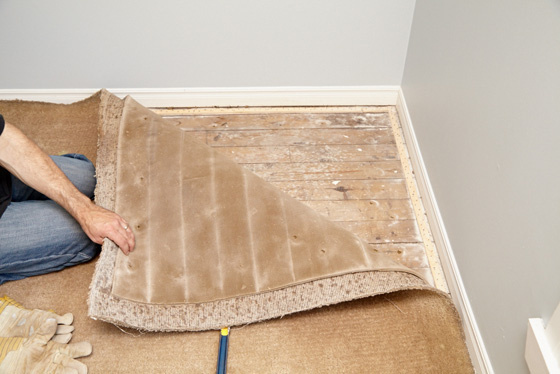 4) Backing Stains - A positive method for detecting urine is to pull the carpet back and inspect the back for stains. The stains will be most apparent on jute backings, but can be detected on the synthetic backs, as well. The disadvantage is the time and effort to pull the carpet up. Thank you very much for taking the time to read all of this valuable and important information about area rugs and how to identify them. Again, if you live in Upland, or anywhere else in the Inland Empire, and are interested in using our services for your area rug, you can call us at 1 (800) 848-8385. Or visit us on our official website and Facebook page, where you can find out what area we will be working at, and to see videos of our state-of-the-art MONSTER truck mounted machine in action! Thank you very much, and remember, we clean your carpet, not your wallet!